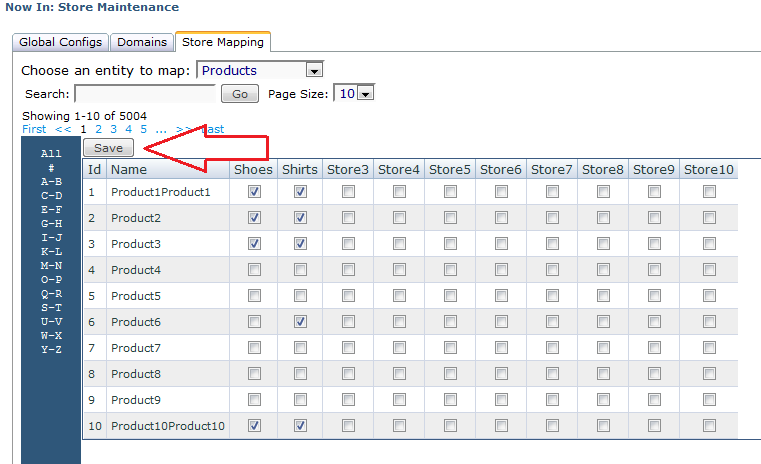 Mapping products to stores is how you determine which products show up on which stores. This allows you to share some/all products across all of your stores, or split things up entirely so each store sells different items, all while only having to manage a single admin site. - Product attributes such as price can NOT (currently) be varied from store to store. A product mapped to multiple stores will be identical on all of them. If you need to vary prices, multiple copies of the product will have to be made and mapped accordingly. - Inventory for a specific product is shared across all stores it is mapped to. - Products are only accessible through navigation, search, direct links, featured products, etc on the store(s) they are mapped to. Keep this in mind when setting your AllowShoppingcartFiltering GlobalConfig. If the shopping cart is shared across stores, it is possible for a customer to end up with an item in their cart that they cannot actually view on the current site (because they added it on another store). - Make sure that every product you map to a store is also mapped to an entity found on that store, or you may end up with products that customers cannot find, even though they're accessible. Before you begin, of course, make sure that the product you need to map exists. 1 - First, if you want the products to vary from store to store, you need to set the AllowProductFiltering GlobalConfig to true. 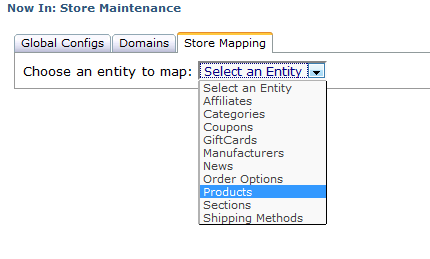 2 - Next, go to Configuration -> Store Maintenance and click on the 'Store Mapping' tab, then choose 'Products' from the dropdown menu at the top of the page. 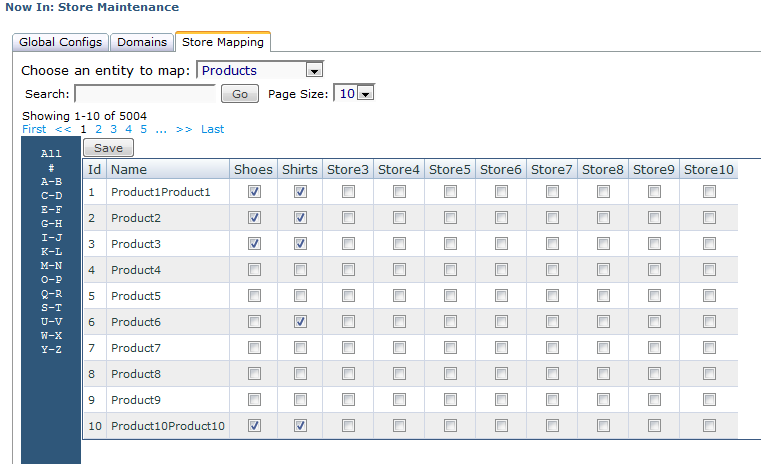 3 - After the page reloads, a grid will display showing all of the products and stores, with a checkbox for each. 4 - Check off the box(es) for the product(s) that you want to appear on each store, then click the 'Save' link at the top of the grid.